The Scoop: Online dating can be a time-intensive experience that places the burden of finding a date squarely on the shoulders of the user. Fortunately, Joann Cohen can remove that burden with personalized matchmaking and dating coaching services. She pre-screens date candidates, interviews clients, and arranges compatible dates, so singles have the best possible shot at making a connection. Her Arizona matchmaking company serves local singles who are tired of getting ghosted and ready to settle down. In the last few years, a growing number of singles in their 20s and 30s have enlisted Joann to match them discreetly, professionally, and efficiently. I’m an advocate of online dating. I know from personal experience that it works. I’ve had many good dates and gotten a couple relationships out of it, but even I can’t deny that online dating can be frustrating and time-consuming. For one thing, you never know if a new connection is going to work out or if they’re going to disappear on you. And you can easily waste a few days chatting with someone only to cross him off the list once you meet in person. 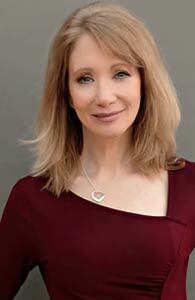 Phoenix Matchmaker Joann Cohen provides singles with a quality-driven dating experience. Despite the platform’s high-tech tools and networking potential, you have no assurances that you’re going to meet someone who lines up with your core values. That’s why many of today’s singles are getting burnt out by the swiping carousel and seeking more efficient alternatives to dating sites and apps. In a surprising turn of events, online dating has actually benefited the matchmaking industry because it has caused relationship-minded singles to realize they don’t have the time or energy to date on their own. These singles want professional assistance, so they seek out a local matchmaker. Phoenix Matchmaker and Dating Coach Joann Cohen has noticed her clients have begun trending younger in the last few years, and she attributes this shift to online dating burnout. After a series of bad dates or toxic relationships, her clients show up ready for an adult relationship and are aware that they need to change their dating strategies. They trust in Joann to show them the way. Joann’s boutique matchmaking business emphasizes personalized assistance and quality matches. Joann takes the time to get to know her clients and suggest dates who share similar interests, goals, and personality traits. She can look for that X-factor that algorithms can’t detect. Her tailored matching services stand in stark contrast to online dating’s massive date factory. Joann has positioned herself as a quality-driven alternative to online dating, and many young people see her boutique services as the answer to their dating problems. Her core audience used to be singles in their 40s and 50s, but that has rapidly changed in the last few years. Now the majority of singles in her office are in their late-20s and 30s. These singles have had it with modern dating techniques and want to use an old-school, hands-on matchmaker to set them up with worthwhile dates. Joann is a skilled recruiter, coach, and matchmaker with a stellar success rate. Online daters can be overwhelmed by too many choices and not enough filters or guidelines. They have to sort through thousands of dating profiles and decide who’s right for them, and sometimes they choose wrong and waste their time on a dead end. Serious daters aren’t satisfied by that impersonal process, so they turn to Joann for help. Joann claims one of her super powers is reading people’s minds because she has the uncanny ability of knowing what her clients need, even if they don’t. She can expertly assess her client’s body language, appearance, speech patterns and other habits, and she can offer solutions through personalized dating services. For instance, if clients come in not looking their best, Joann can conduct a wardrobe consultation to build their self-confidence. It’s not just about finding a flattering blouse or a trendy jacket. She identifies her clients’ style and recommends outfit choices that will make them feel good about themselves. Her advice prepares her clients to look their best on every first date. Joann compared dressing up for a date to dressing up for a job interview. “You want to look good, but you want to be authentic too,” she said. Joann coaches people to be authentic and attractive, so they will draw quality dates to them. As a hands-on dating coach, Joann prepares her clients to tackle dating challenges and come out on top. She keeps in touch with her clients via phone calls and texts, making sure they can get fast answers to questions that come up as they go on dates and build a relationship. While Joann has a few out-of-town clients, a vast majority of her clients live and work in Phoenix. She told us that keeping her business local has allowed her to be a more effective and personable guide. An expert matchmaker not only leads singles to better quality dates, but he or she can also advise them through the tricky post-date phase. Joann has decades of experience under her belt and can give singles insight into what’s going on and what they should do to build a fruitful connection. She told us that texting etiquette can be particularly tricky for couples these days. Joann argues that texting etiquette is teachable. You can set expectations and make your needs known. As long as the behavior isn’t intentional, the matchmaker doesn’t believe it’s a major problem. In many situations, she told us she acts as a go-between and translator for couples who have just gone out and are getting used to each other’s texting style. Joann’s patient encouragement has often led to couples giving the relationship a shot rather than giving up after someone failed to call within a certain period of time. She does her best to get them off to a good start and then lets the couple take it from there. Joann’s ultimate goal is to hear her clients say that they’re in a relationship and no longer need her dating services. Someone looking for a compatible partner could end up repeatedly frustrated by the flakes and fakes on dating sites and apps. These tools make it easy to date around and check out your options, but they’re not ideal for finding a relationship. That’s where matchmakers come in to offer quality date candidates who are serious about settling down. Many single millennials in Joann’s office say that they’re tired of online dating and want her to vet their date prospects going forward. She can offer personalized assistance in the dating scene and recommend high-caliber dates based on years of professional experience. Her advice and support is a great comfort to singles feeling burnt out, demoralized, and alone. Joann’s job isn’t just to find any old dates — she focuses on arranging desirable first dates and making sure the experience is a positive one.